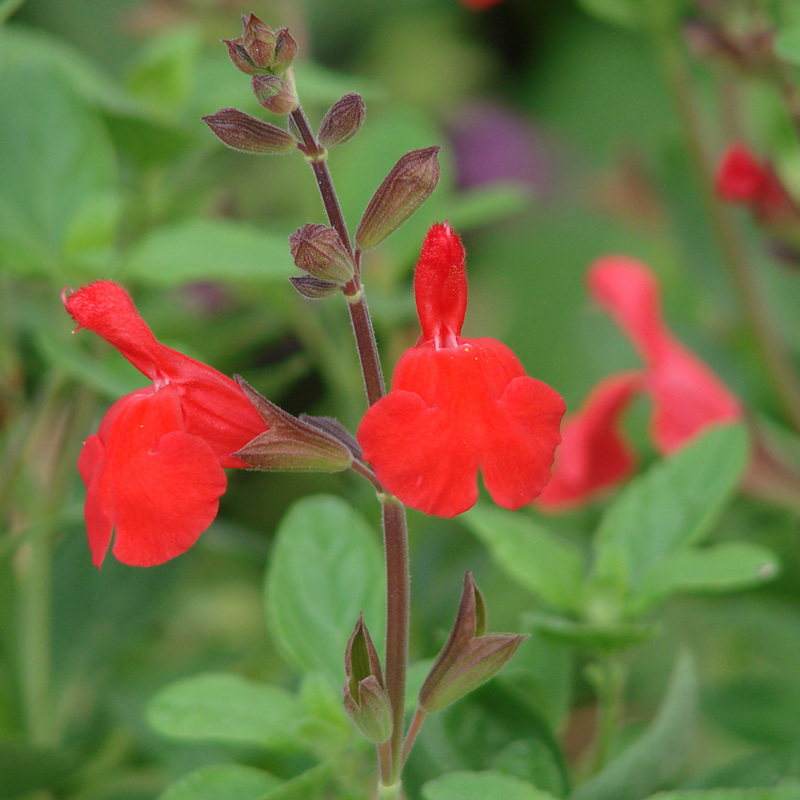 We believe this to be the best large growing scarlet/orange flowered shrubby sage. 'Scarlet Spires' is a mainstay of gardens across the country. Our new 'Elk Orange Spires' is destined to become one as well. It's large flowers are an intense orange, a standout color. Careful breeding has produced a plant that is stronger, better branched and less prone to wind damage as well. (Scarlet Spires Sage) This is a brilliant cross between the sturdy D'Arcy's Sage (Salvia darcyi) and the beautifully colored 'Raspberry Delight' Littleleaf Sage (Salvia microphylla 'Raspberry Delight'). 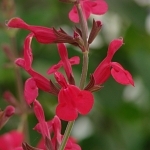 (Vermilion Bluffs® Mexican Sage) The brilliant red flowers of Vermilion Bluffs bloom abundantly from August to October. 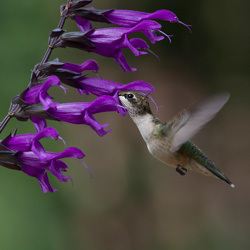 This variety of the Mexican native Salvia darcyi is cold hardy to Zone 5b at altitudes up to 5,500 feet. (Wild Pink Lemmon's Sage) Botanists Sarah Allen Plummer Lemmon (1836-1923) and John Gill Lemmon (1832-1908) collected Salvia lemmonii in the sky islands of southeastern Arizona while honeymooning. A contemporary seed collector found this variety growing wild in New Mexico. (Wild Rose Lemmon's Sage) Botanists Sarah Allen Plummer Lemmon (1836-1923) and John Gill Lemmon (1832-1908) collected Salvia lemmonii in the sky islands of southeastern Arizona while honeymooning. A contemporary seed collector found this variety growing wild in New Mexico. (Silke's Dream Salvia) Large red-orange blossoms combine with heart-shaped, light green, heavily veined leaves in this large, long-blooming sage. It's a subshrub, which means it combines it is a perennial that combines soft, herbaceous growth with some woodiness.